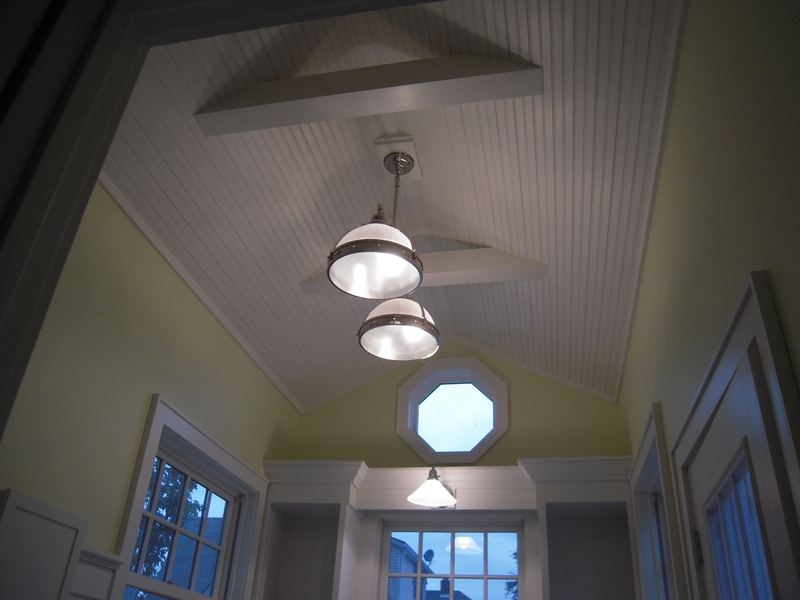 This entry was posted in Mudroom, Room Addition and tagged 1930's bungalow, bead board, Old Home Renovation, over the sink light, pendant lights, Rejuvination, Restoration Hardware, room addition by curt. Bookmark the permalink. Thanks – slow but sure they say. GORGEOUS!! It’s too nice to do laundry in there. Maybe you should consign the machines to the basement and make it a reading nook!! You could redesign it just a smidge and put a fireplace in… and some built-in bookcases… and maybe surround sound?? Looking good! You are really talented, I’m so impressed. I love the light fixture from RH. We’re struggling to find one for the kitchen, and we can’t seem to agree on anything. That’s deflnitely another topic! So what else are you putting in the mudroom? I haven’t read all your posts yet, so I need to get up to speed. We’re doing a mudroom too, mainly as a transition room from the garage into the house, complete with ample space for shoes/boots, coats/gloves/etc and dog gear. 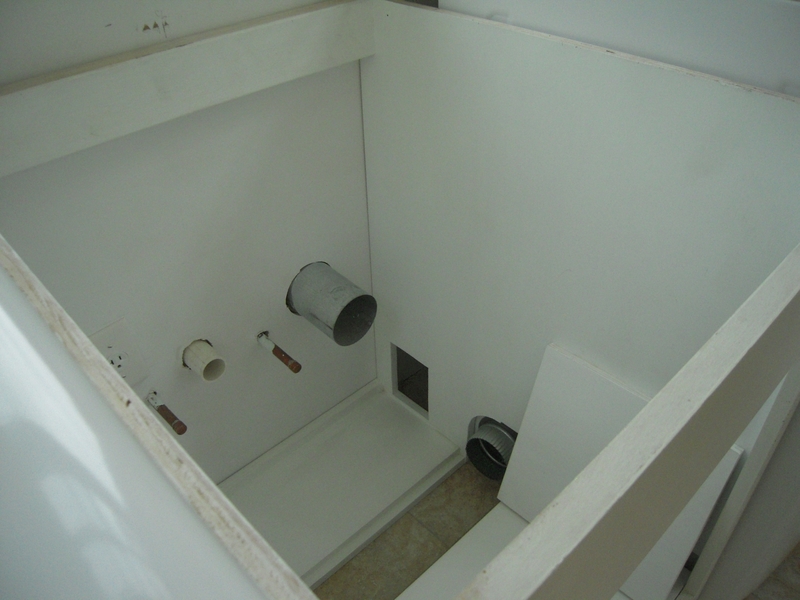 And…(I am so excited about this)….a dog washing station so we can wash off their muddy paws. Yay! Looking forward to watching your project. I’m lucky in the conflicting opinions department, I’m the picker outer and putter upper, so we don’t have issues on selections. I wish I would have made the mudroom size bigger – I have a feeling there will be lots of shoes in there laying around. Not much space to hide them. There’s only two of us, so the dirty clothes aren’t a big problem. The dog wash is a great idea. And if you put it in a floor level one, they work great for washing all kinds of stuff. I have a couple of years of posting to do. Go up next week and pick up the limestone for the front entrance and the mudroom – 10,000 pounds worth. So that will be some interesting posts, I’m sure. Keep up the good work – it’s worth it! Love the pendant light! Since this space is turning out so nice the question is, will your wife be doing more laundry?? Hard to tell 🙂 I’ll probably do more than she will.She’ll most likely be in the new sun room. Looks great and definitely worth all of the work and rework! 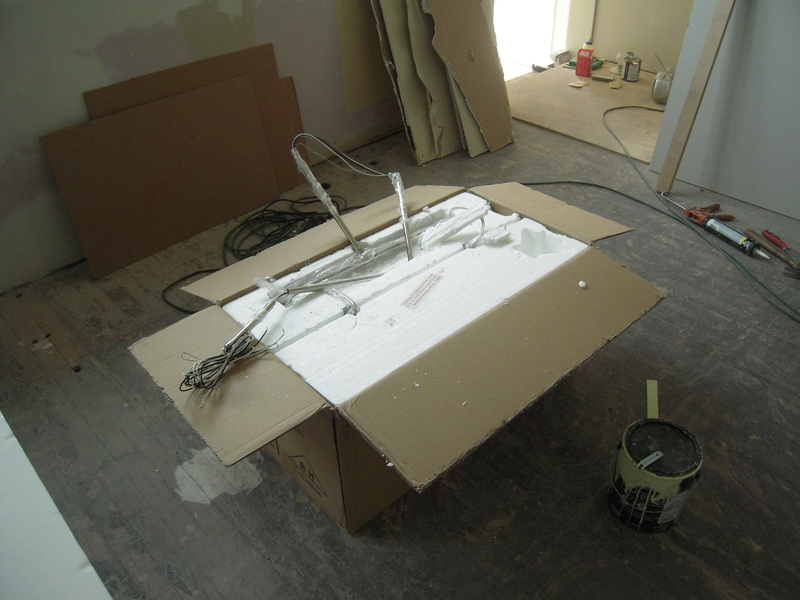 Thanks Seat – you know first hand the satisfaction of home renovation. Thanks for stopping in. Thanks Kelley! So much to do. If you saw the whole house you would poop your pants. Everything is a mess but one and a half rooms. But I’m working on it. 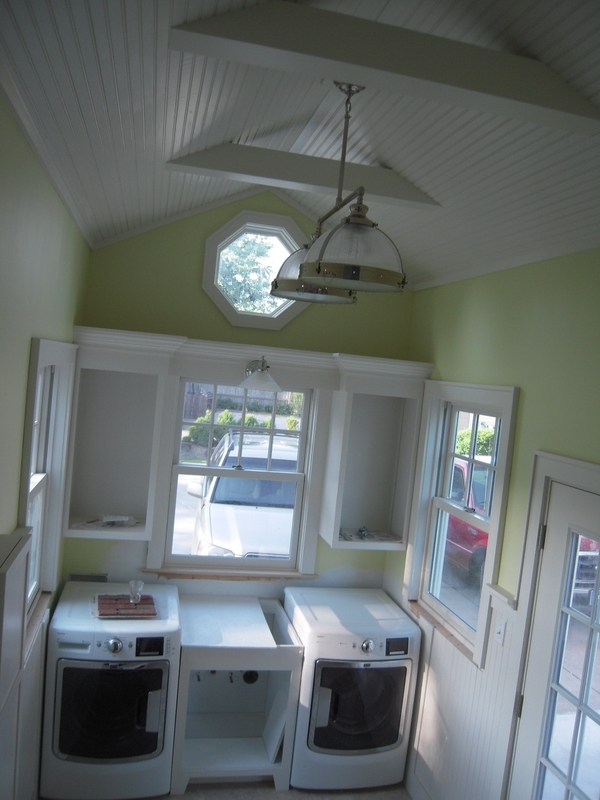 Okay….I loved my new laundry room….UNTIL I SAW YOURS!!!!!! Freaking GORGEOUS!!! Love love love it. Well done! Nice job -looking good. 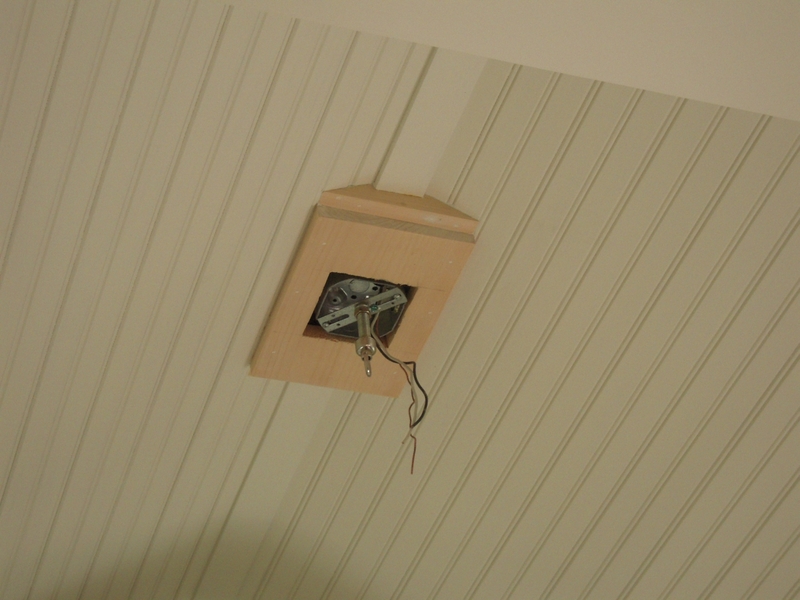 I love the ceiling, collars and window surrounds/architraves…. Thanks so much. Your home is looking great. Can’t find much of that old world charm in the US. I’m afraid you’ll be done way before me.